Twin screw motor vessel built in 2002 at Mitsubishi Heavy Industries, Shimonoseki, Japan (Yard No. 1069) as a passenger and vehicle roll-on/roll-off ferry. 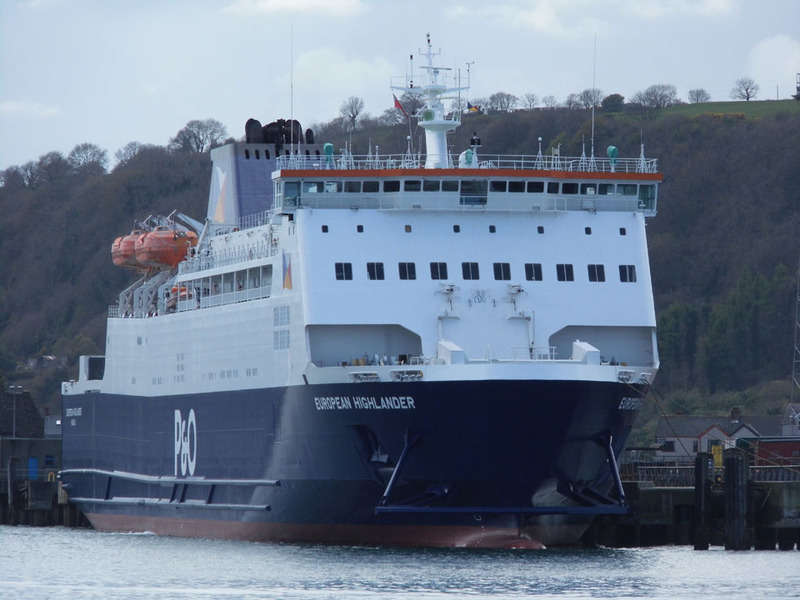 Engines: Four Wartsila 12V38 diesels. 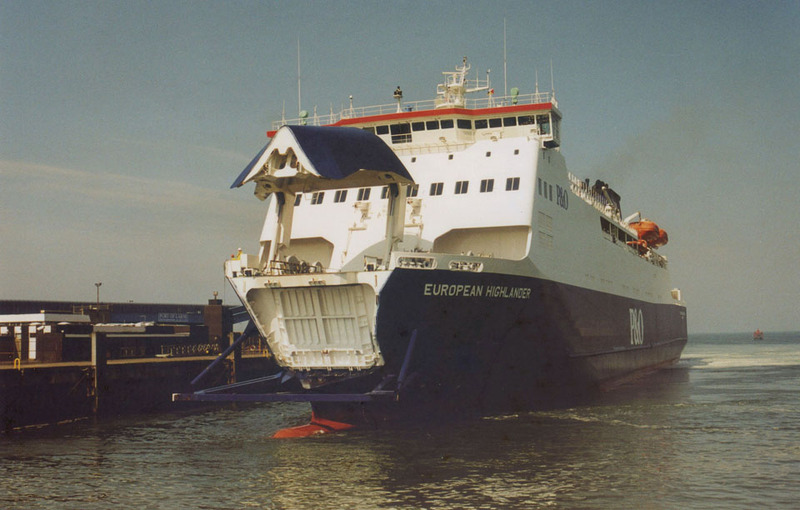 May 2002: Delivered to P&O Ferries Irish Sea Ltd., Nassau, Bahamas. 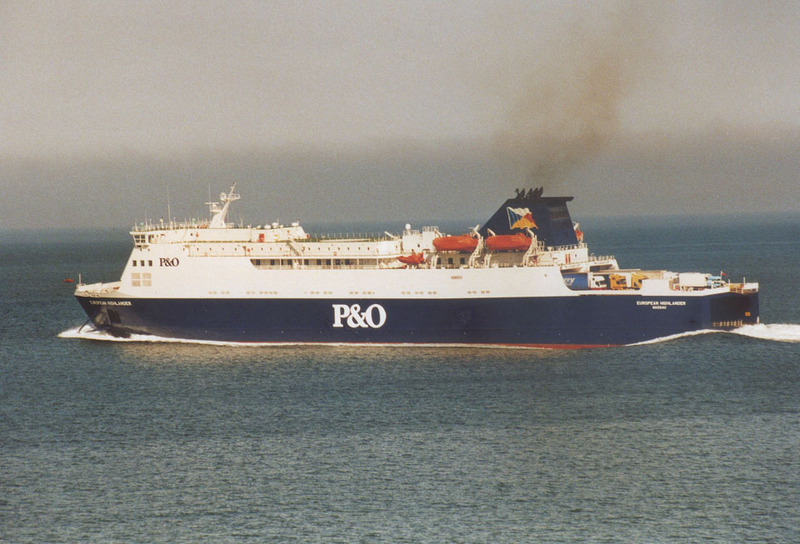 June 1st 2002: Left Shimonoseki bound for Larne. June 26th 2002: Arrived Larne. 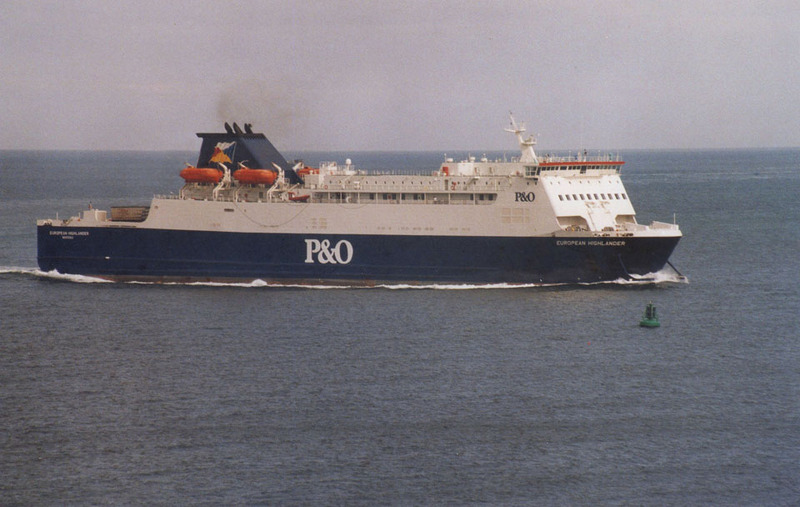 July 3rd 2003: Commenced service for P&O Irish Ferries between Larne – Cairnryan. 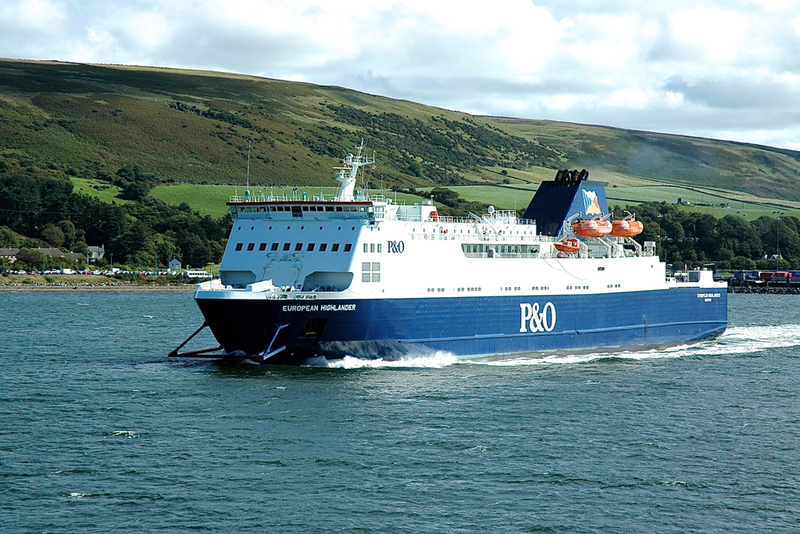 January 8th 2005 (Sat 07.00hrs): Ran aground on rocks at Cairnryan Harbour in winds of up to 100 mph. 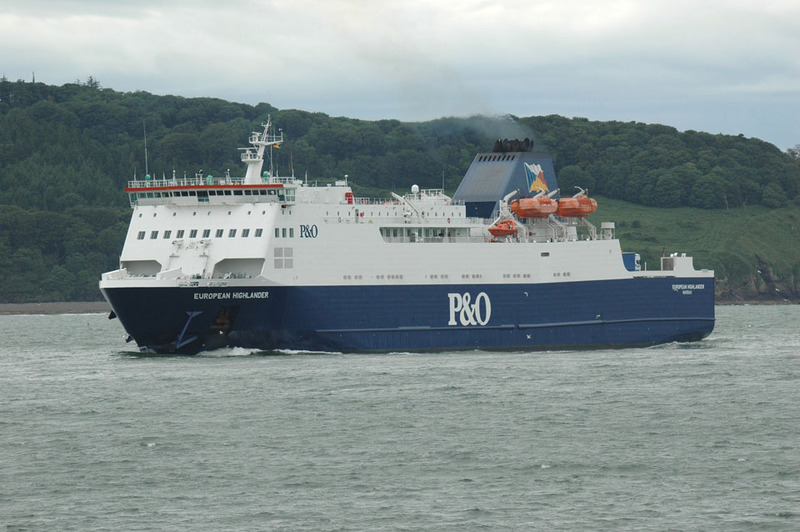 The were 43 passengers and 57 crew stuck on the ship which set sail from Larne, at 0415 GMT. 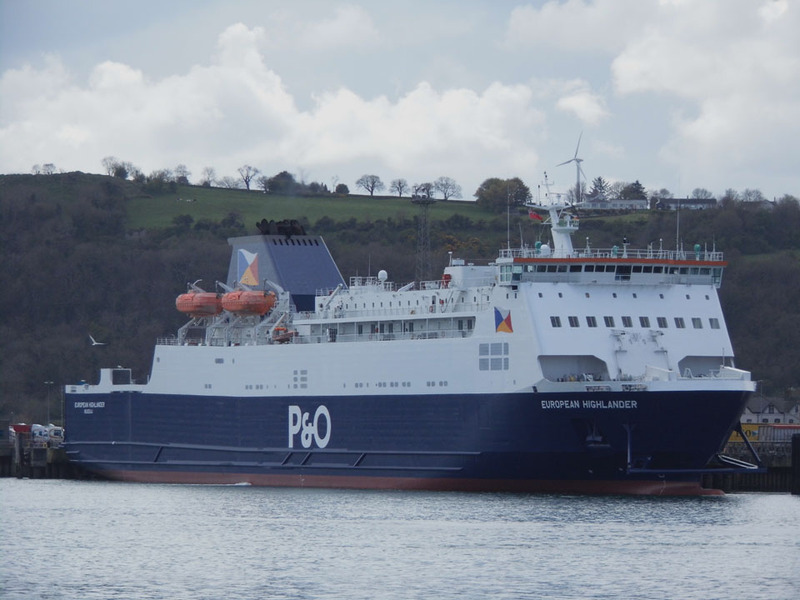 P&O expected a tug to be in place to refloat the vessel on the next high tide on Sunday morning. “The ship was sitting on a shingle shoreline with its anchors out”. 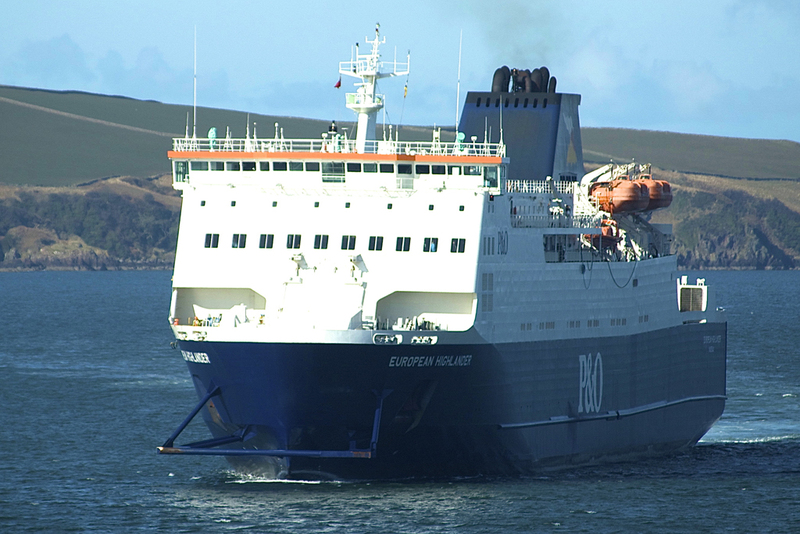 This Ro-Ro ferry grounded while trying to berth at Cairnryan in very high winds. The vessel was successfully refloated the following day and no injuries or pollution resulted from the accident. 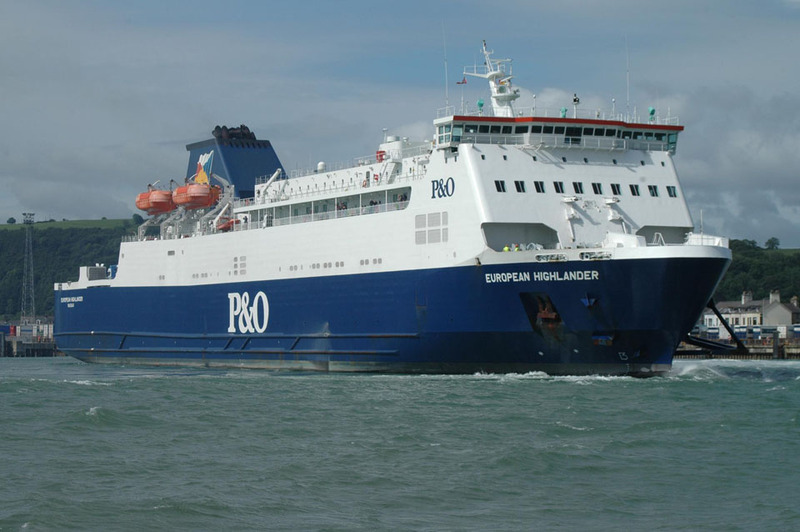 The Chief Inspector wrote to P&O Ferries supporting the actions they have taken as a result of their internal inquiry and further commenting that, in future passage planning should include details of abort positions and the radar recorded by the vessel’s VDR (Voyage Data Recorder) should be properly adjusted and set at an appropriate range scale. 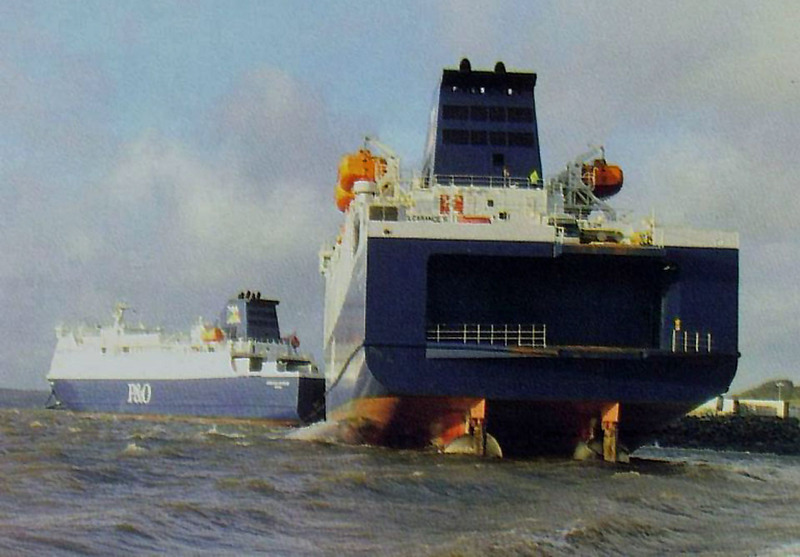 January 9th 2005: Refloated after being stuck for more than 30 hours. 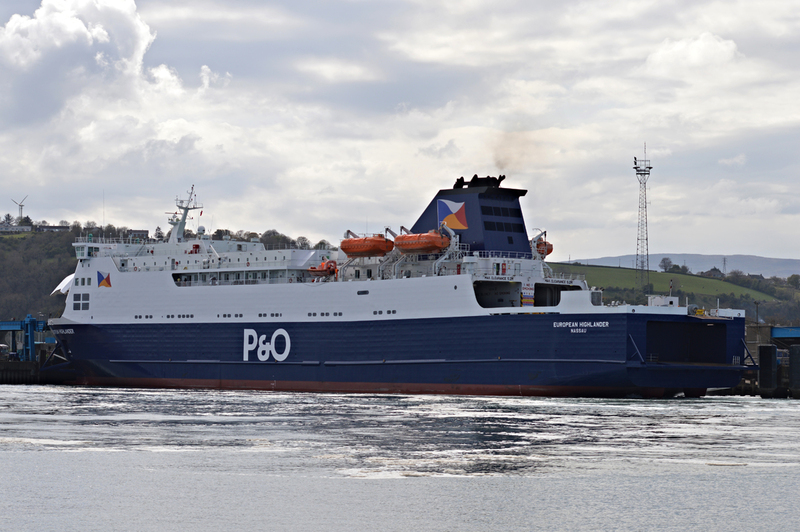 High tide, about 1100 GMT, Greenock based Svitzer Marine tugs POINT GILBERT and SHANNON hauled the ferry off the shingle beach at Cairnryan and assisted the vessel the short distance to her berth to allow her passengers and cargo to disembark. The operation took less than 30 minutes to complete. 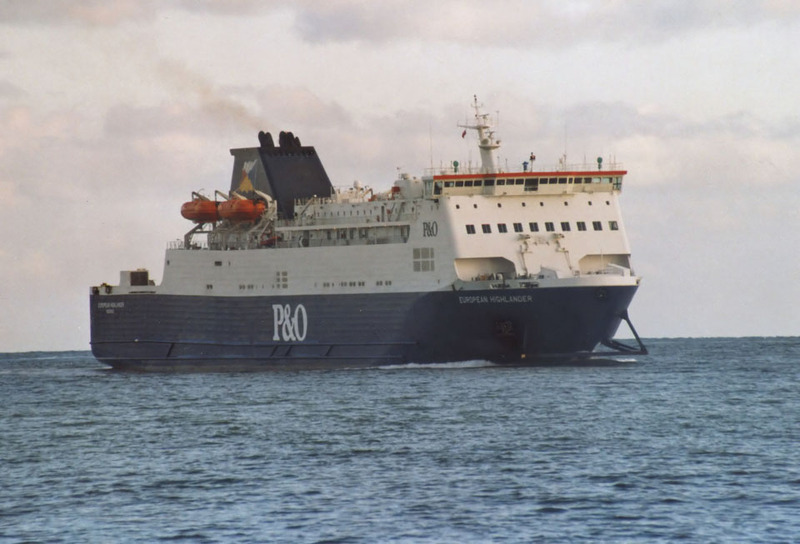 January 10th 2005: After being freed from the beach at Cairnryan she made a run to Larne on the evening of 9/1/05 arriving at 1900. 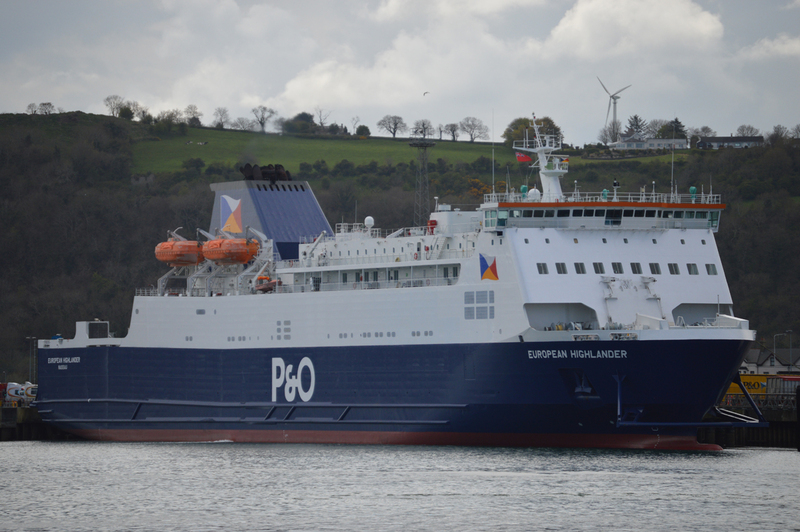 She loaded spare parts required for repairs and proceeded to dry dock at A&P Birkenhead at 2030. January 10th 2005: Arrived at A & P Birkenhead for survey. January 11th 2005: Departed A & P bound for Larne. 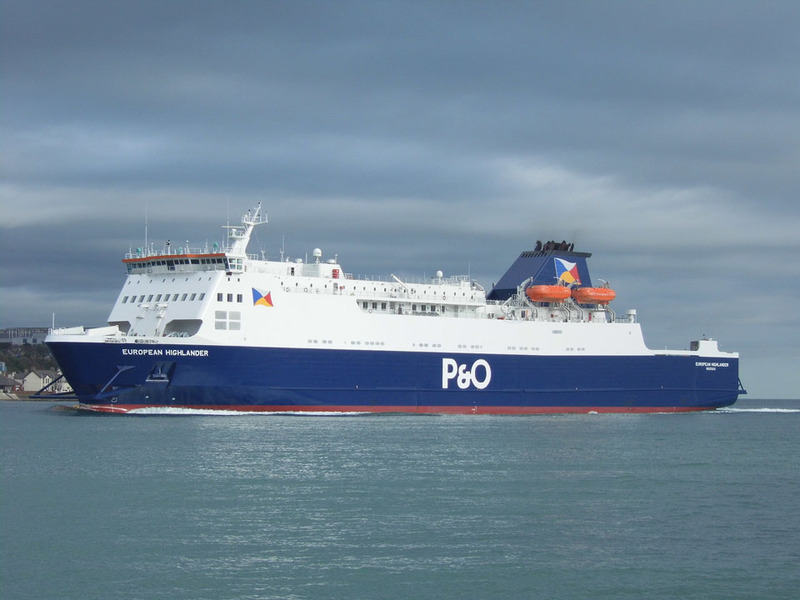 January 12th 2005: Resumed service Larne – Cairnryan. 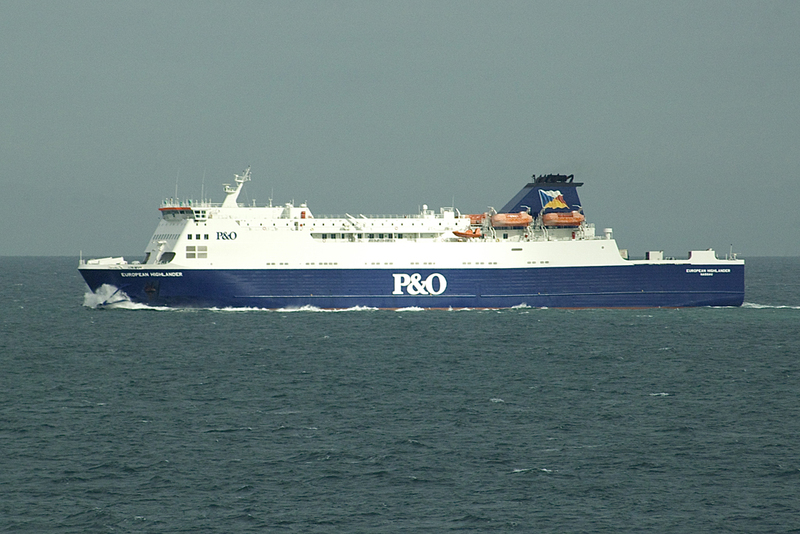 July 13th 2006: Departed Larne, bound for A&P Falmouth for refit. 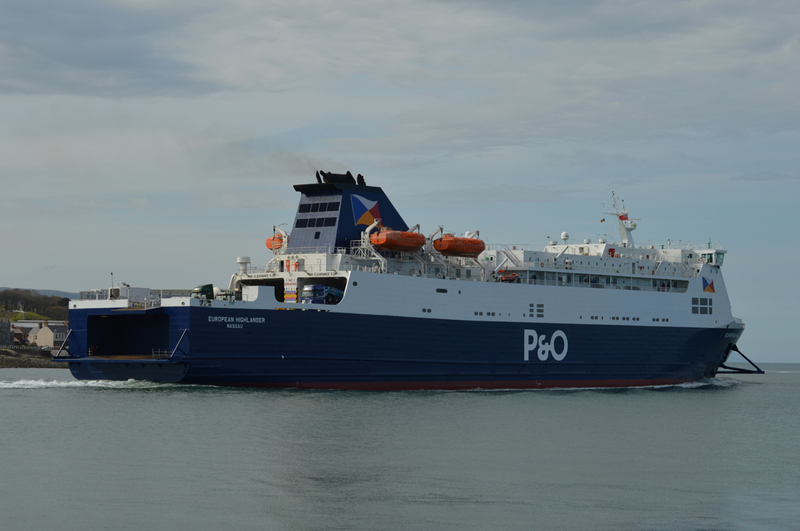 July 27th 2006: Returned to Larne after her overhaul in Falmouth berthing at MacKean Quay at 0845, then resumed Larne – Cairnryan. 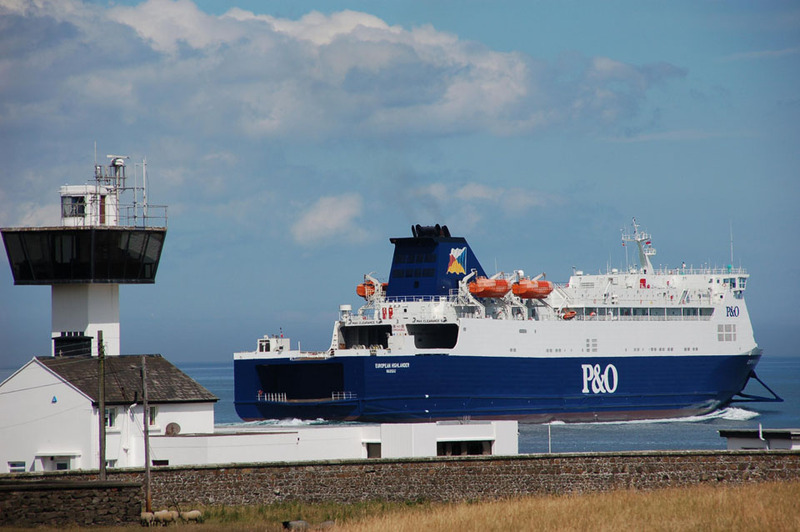 2015: Continues Larne – Cairnryan. 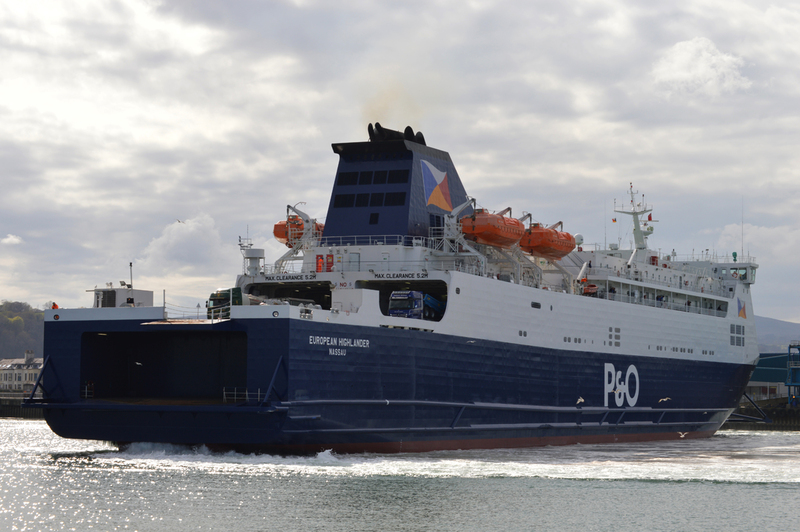 April 15th 2015 (08.00 hrs): Entered dock at Birkenhead. April 30th (21.00): Left wet basin for Larne. May 1st 2015 (08.30): Arrived Larne and resumed service (16.30). All information is believed to be correct and no responsibility is accepted for any errors or omissions. All items included in this article are subject to © copyright. We would like to take this opportunity of thanking: Aubrey Dale, Trevor Kidd, Gordon Hislip, Robert Stanley and Andreas Wörteler for their assistance in producing this feature.